James Monroe smugly thinks he has his life under control. He thinks he’s so smart he can do pretty much whatever he wants without serious consequence. He couldn’t be more wrong. 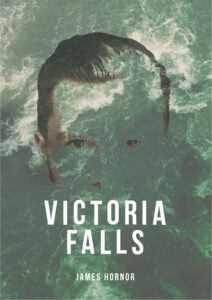 “Victoria Falls” is Brunswick author James Hornor’s ambitious debut novel about modern male stereotypes and a man whose moral weakness is exposed by bad decisions and the startlingly painful realization that he can be a better man. An affair with a married woman at Victoria Falls in Kenya produces a son (who he won’t see for 30 years), and an infatuation with another women days later results in a disastrous string of events. Blinded by lust, Monroe is morally spineless, agreeing to participate in judicial bribery and corruption that bankrupts him and lands him in a Bombay prison. For such a smart guy, Monroe is really pretty stupid. It takes prison and a Catholic nun to set him straight. A parallel story set 30 years later finds his weak-willed son, Charlie, searching for his father. But their reunion is tense, and Charlie must go through his own horrible ordeal until he sees his father’s strength and quiet confidence, finally understanding his father’s enduring, positive lesson to his son. Everybody knows that too many sweets and too much sugar in a diet are bad for you, but nobody in Eastport, Maine guessed that a chocolate malted milkshake would be a murder weapon. This is Eastport author Sarah Graves’ second book in her new “Death by Chocolate” mystery series, following 2018’s “Death by Chocolate Cherry Cheesecake.” Graves may be most familiar for her popular “Home Repair in Homicide” series of 16 books, released between 1997 and 2013. Now she’s knocking people off with sweets. Graves’s central character in both mystery series is Jacobia (Jake) Tiptree, a smart, resourceful woman who just can’t keep her nose out of other people’s business. Eastport is waking up to spring after another cold winter, and Jake and her best friend Ellie wonder if they can keep their bakery and sweet shop open until tourist season. 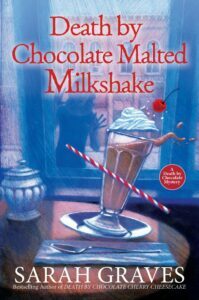 Springtime business income is worrisome, but then a local bully and overall lowlife is found murdered, and the murder weapon appears to be a poisoned chocolate milkshake from their shop. This could be bad for business. 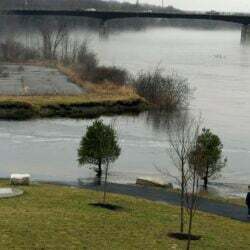 The police quickly zero in on a Coast Guard officer who had the means, motive and opportunity, and who had just fought with the victim over a woman. Jake, however, isn’t convinced the cops have the right guy. So she begins her own investigation — after all, her shop’s reputation is at stake, too. Meanwhile, somebody is trying to cover their tracks with burglary, evidence planting and another murder, each move putting Jake in greater danger as she doesn’t know how close she’s getting to the truth. Graves spends too much time describing how to make biscotti and eclairs, but the story’s suspense, clues, red herrings and action scenes are well worth it. Have somebody taste test that next chocolate milkshake, just in case. 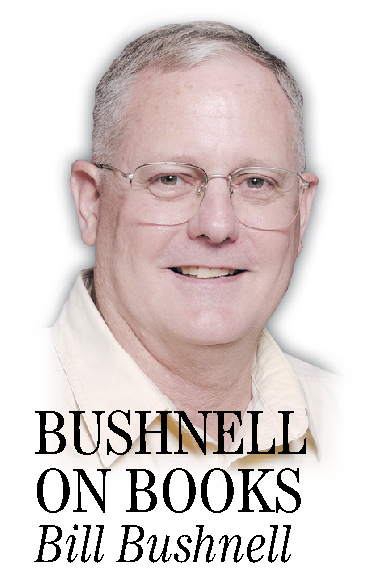 Bill Bushnell lives and writes in Harpswell.